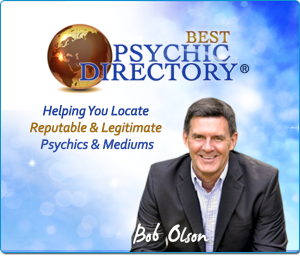 Read about Bob Olson’s animal communication reading with Danielle by clicking here. Soul Contract Intuitive, Animal Intuitive and Intuitive Coach, Danielle MacKinnon has been named one of Bob Olson’s “Best Psychic Mediums.” Using Soul Contracts as a foundation, she offers a fresh perspective on working deeply with pets, relationships, developing intuition, and spiritual growth. In this way, Danielle helps you understand the nature of the relationships in your life. Learn why a person, animal, event or challenge is part of your life and what you can do to benefit the most from it. Danielle’s messages are delivered with love and compassion and her coaching sessions always incorporate her own quirky style. Visit Danielle’s website at www.DanielleMackinnon.com or read my article about my readings with Danielle at www.BestPsychicMediums.com. You can also make an appointment with Danielle at 1-866-883-2280. I love this interview! The content packed in these sessions is informative, with great understanding on a fascinating subject! Thank you Bob and Danielle for sharing this information in such an entertaining format! I want more! I have a reading coming up with Danielle. I feel this video helped me prepare for it. This Video actually helped me let go of alot of grief I have over losing my pets. Especially as a child. I felt like a victim over it. Now, I realize that they did leave at particular changes in my life. Also, knowing that hanging on to grief will block me from hearing from them in spirit was good to know. I liked the info about how the animal choses how they are going to die. It has put me at ease. Thanks guys! I, too, loved this interview. Thank you for doing this kind of work to educate people! It answered most of my questions, but I would like to know – what about animal abusers? Are the animals helping to teach them something? As someone who has participated in rescue work, I know that abuse happens way too much and seems to make no sense at all, from any point of view. So nice to see such an astute question raised here. 🙂 Perhaps I could lend my assistance in this area? I also share your sensitive concern, but there may actually be more than one “pat” answer to this puzzle. Regarding one perspective, a fellow animal communicator I know once shared with me an example of a horrific story of animal abuse, where she was contacted afterwards once this dog was safely in a shelter, awaiting the chance for re-adoption. The dog was physically maimed but rather oddly, exhibited NO emotional traumatization to his abuse. She’d known no details of his story at the time, and also had her own strong personal beliefs about abuse to animals. Yet this particular dog totally surprised her (one of the commonly key ways we know we’re “hearing” them clearly) by telling her he was actually THRILLED that he’d accomplished one of the “soul growth” lessons he’d planned for his previous person, i.e. the one who abused him due to his own, serious mental condition. Because of what ensued, this man then became a very positive contributor to his local community, and the dog also soon got re-adopted by a wonderful family who loved him to bits. So at least in this case, and even though no one physically died, there *was* a teaching, followed by more earthly life to live for all involved. In other instances, I personally tend to agree more with a few other well-known communicators who do not believe (nor have found in actual practice) that most animals (such as those used in experimental research, or for human ‘food’ sources) have deliberately placed themselves in such horrific situations in order to teach *humans* something. This doesn’t mean, however, that human consciousness as a whole has nothing TO learn from heaping such abuse &/or killing onto our fellow travelers in this spiritual journey! Further to this, I’ve also hypothesized that *some* abused animals may have actually been abusers themselves in a previous life, and returned (reincarnated) to grow their OWN souls by experiencing the other side of the coin, first-hand/pawed. So some of those we’re helping today, may now be learning more about compassion &/or how to receive love, for example. Plus, on an even deeper level, if we’re really all One Consciousness experiencing Itself through billions of ‘individual’ parts of the Whole, in one way this is all just another part of the illusion, or duality, of the earthly realm anyway, and there’s really “nothing TO forgive,” just as my own, late fur-son poignantly told me himself, and as Danielle also mentioned. If it helps, you might consider that you can forgive the ‘individual’ SOUL of someone who abuses another piece of the One, yet still play with not forgiving their earthly ACTS as they spiritually evolve. This way, you’re still contributing to improving earthly conditions and the Collective Conscience, and helping others on this plane while still living in this duality, without becoming totally burnt out yourself. I think you’ve covered a good deal of the possibilities here. I particularly agree with your personal hypothesis, though I never would have ventured to explain it quite so well. I’m sure this will be helpful to ninth girl, and worth the wait. I loved this informative interview! Not long after my 16 year old beagle Lucky passed I dreamed that he was a puppy licking my face like crazy. I always believed it was him telling me he was okay! Now I know I was right! Thank you. It’s a comforting interview for those of us who have loved and lost beloved fur babies. I’ believed animals are our teachers, as humans we have so much to learn. Bob because of your compassion and experience you always ask the correct questions. I loved the one about should we be with our pets in the end. Which I have learned the answer is always yes! You may be interested in interviewing Jaquelin Smith. This woman is the real deal. She did a reading after my Sasha passed on . She communicated personal things about my little one and myself that no human would know. While Sasha was sick, I became interested in animal communication, knowing full well difficult decisions were going to have to be made. After reading a few books, meditation,unexpectedly I would receive messages in actual sentences, of great love from Sasha. On a soul level there are no language barriers, whether it be French, Spanish, cat or lion (lol) We all speak the same. As humans we underestimate the depth and magnificence of the animal kingdom.. If humans would only listen and open up their hearts, the possibilities would be endless. I loveeeee this interview. I had a horse as a kid and never, ever forgot her. Although my life went on (ups and downs) but about 5 years ago I had another opportunity to be involved with horses. My original horse, Baby, was instrumental in this. She was 100% involved in bringing me back into my passion. One day I was walking my dog down a new path which was close to my house. That’s when I discovered some horses and that’s when she “showed up.” She continued to show up during months of walking that path. I became involved with the horses which resulted in my getting a foal and an older horse. On the day to bring my “baby horse” (LadyGrace of Marlborough), we wound up walking her to my house. Baby was with me during that walk and stayed for a few months. Now, she “shows up” once in a while to give me advice or simply encouragement and joy. I’ve also become more in tuned with all animals that happen to be or show up on my property. Resulting in being more aware and at peace. I simply love my life now…after all the many, many struggles. I’m in such a constant state of appreciation that I’ve developed into quite a photographer… My heart sings again because of my original horse – Baby. I have a friend who because she has to move, she has to put her potbelly pig down. She is heart broken. What happens to pets when we decide we can’t care for them any more? You should email Danielle this question. But I must ask if your friend has exhausted her efforts to find the pig a new home. She might consider a classified ad in her local paper, Craigslist, calling animal shelters and vet centers for assistance, even emailing the local media (TV & radio news shows) who might pick up the story to help save the pig’s life. There are also many “family” farms who might take the pig as a pet if they were called & notified about the situation. For the pig’s sake, who I suspect is more of a pet (and therefore a family member), I hope every effort is being made to avoid the outcome you suggested. Thank for your help. I shared this information with my friend. She is overwhelmed. Blessings. That was really nice of you. Many people don’t realize how difficult losing a pet can be. I hope it helped a little. This was truly an enlightening and comforting interview. I had a 19 year old cockatiel that passed away last February. I was heartbroken after losing my friend and companion of 19 years. I always wondered if I’d done something wrong to cause his death. This interview helped me feel better knowing that he chose his time to leave. Also, just a few days ago, we found one of his feathers sitting on the floor in the car, squarely between our feet! I knew he was saying hello! So, she ‘stared me awake’, and she was in puppy form, white, shining and beautiful, as she was when she was a baby. Staring me right in the face, and I woke up. I was wide awake, looking into her eyes. I know she ‘came back to me’ for a minute or so, to prove to me she was OK. This was real, it was not a ‘dream’ … and I can assure you, she is safe. I feel they go to one of our parents, or loved ones until we arrive to get them into our arms. I feel sure of this, no doubt whatsoever. What a wonderful story. My wife, Melissa, and I recently lost our cat. And she woke up one morning during a dream that our cat was licking her face. She said it felt entirely real, and she was sure it was him sending her a message that he was okay. I appreciate you sharing your story with us. Wonderful interview, thank you so much! I’ve always said that when it’s my turn to go to heaven there will be so many furbabies waiting to say hello that my human family members will have to wait their turn. I have no doubt that was Penrod visiting you and telling you he’s happy. My wife, Melissa, had a similar dream after our cat passed. And people all over the world have had similar dreams with the people they have lost. These are called “dream visitations” and they are one of the easiest ways for our loved ones in the spirit world (people & pets) to communicate with some of us. I’m not one to remember my dreams very well, so folks like me aren’t likely to have them. We’re better to rely on other forms of after-death communication, such as smells, sounds, the feeling that they are in the room, and so on. Thanks, Janie, for sharing your story of your dream with us. How nice that Penrod stopped by to say hello. Thank you Bob for your wonderful show; I am really learning so much from your interviews. I lost my beloved cockatiel, Charlie, this past summer. I had felt very quilty about it. What Danielle said helped. The question I have is what about those animals, like farmed animals—the ones many eat–what about them? They do not have humans to care about them; so what happens to them when they are slaughtered and have no one caring and crying for them? I’m so very sorry to learn about Charlie. My father had a cockatiel when he was on the physical plane, and Shadrap was an amazing pet. If one animal goes to the afterlife, Suzan, then they all do–including those who don’t have anyone to grieve their loss. Whether it be humans or animals, the number of people grieving their loss is irrelevant. We all return to the spiritual world. Great question. Thank you. Recently I lost a beloved Jack Russell terrier named Maddie. She was with us for 13 1/2 years along with her littermate Molly. Your interview cleared up a lot of questions for me and I would like to relay some experiences that we had at the end of her life. Maddie became quite ill all of a sudden. Our dogs have always been healthy and active even at this age. We found out that she had kidney failure. We did everything we could to stabilize her so that we could keep her for awhile longer but to no avail. Her health deteriorated quite quickly over the last month of her life. In the last week she started doing something odd that she had never done before. She always would go down in the early morning to go to the bathroom outside around 5 in the morning. In the last few weeks she sometimes did not want to climb the stairs back up to our room so she would sleep on the dog bed downstairs family room or in the living room. However, that last week she would stay in the yard and not come back inside. At one point I followed her downstairs and thinking she did not want to make the trek back into the house I brought her back in upstairs to her bed after she had done her business. Within 5 minutes she was going back down the stairs and outside. I followed her to see what she was doing. She was laying in the grass just looking around as the sun came up. She did not want to be indoors and that was true all week long in spite of the heat of the summer. She would find shade and just spend all her time outdoors. Maddie was always our outdoor dog. The minute the snow melted she would be outside playing with her rock or sniffing around the outside of the fence or laying in the yard looking around. It upset my husband that she was outside in the heat of the day or the middle of the night so much so that he wanted to lock her in the house. I somehow knew that she wanted to be outside for this last little bit of time in spite of her health. It seemed like she wanted to spend the last few days of her life where she had been the happiest with us and that was in her backyard. Over the weekend she deteriorated so much we decided to put her to sleep on Monday. On Sunday night our son came over to say his goodbyes. I was so devastated I could not stop crying but Maddie would just look at me with dog-love in her eyes. It was almost like she wanted me to know that it would be okay but I thought this was purely my imagination. I had been her caregiver and I had brought her and her sister home as small puppies for our children. Whenever the girls would get scared as puppies they would hide behind my legs and look out as if I was their protector. I could not go to the vet that day with my husband and my daughter to have her put to sleep because I was too distraught. I could not stop crying and said my goodbyes at home before they left. But I really felt like I had let her down. Now I know that she probably understood but I wish I had read this beforehand because I would have gone with them. There are two other things that I would like to share. My husband told me that the strangest thing happened as they almost reached the vet. Maddie stood up on my daughters lap and started panting. She had so little strength that seemed odd to my husband. Also the last few months of her life she was very close to me. I work out of my home and she would seek me out whenever I left the room. That was unlike her as in the past she was more of my husband’s dog and Molly had been more of my dog. Also, she began to be quite mean with Molly which had not been true previous to this. The last few weeks this was especially true, even the last day when she could barely hold her head up. I believe this may have been to make the separation easier for Molly because these two had been together since the womb. Reading this interview has not eased all my heartache as of yet. Maddie has only been gone for two weeks but what happened with her lines up so much with this interview I felt I needed to share it. I’m so very sorry for your loss. I’ve lost pets and know how difficult that is. And I also know the spiritual side of it, and I know that you need not feel bad about not going to the vet that day. Your love that day, and today, knows no limits–not by time, distance or dimension. Maddie felt your love while at the vet that day without you having to be there. And, of course, she feels and knows it now better than ever. My best wishes to you and your family in your time of grief. Thank you for sharing this very intimate story. First, congratulations on creating such a incredible, informative, and thoughtful site! I found this site from a link on Facebook. As I have gone through the site, read the stories, and listened to the interviews, I must say this has opened up my mind to so many possibilities. 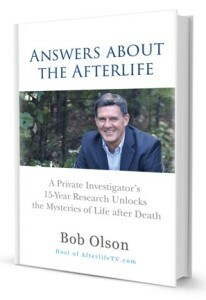 To me, the “Afterlife”, “Pre Birth Planning”, as well as the ability of mediums to communicate with people and animals who have “crossed over”, are topics I continue to learn and study. Bob, I am quite impressed with the way you present each interview. You speak very well! I enjoy listening to you explain the details and how you ask questions. Have you ever considered or attempted to host your own television program? You may have seen or heard of the “Crossing Over” TV show with John Edward. The show ran on 2-3 different networks. Unfortunately, “Crossing Over” is no longer on television. 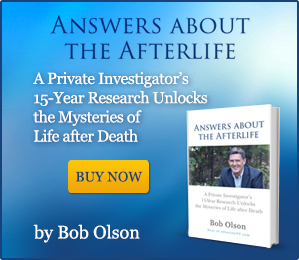 However, in my view, the subject of the “Afterlife” is something so many people have thought of, or at least considered. 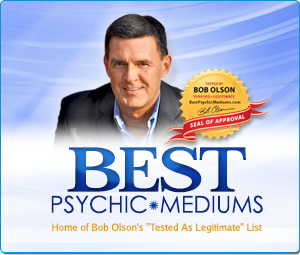 Since we now have such specialized channels such as the NFL Network, or MLB Network, Maybe there could be a “Psychics” or “Mediums” channel ? While all your interviews are fascinating and informative, the interviews with Robert Schwartz, and Danielle Mackinnon definitely peaked my interest. I have begun to view both Robert Schwartz’s and Danielle Mackinnon’s sites. I first knew of Panda when I lived in Liberty, KY. Little Kitty (my female cat) and I, lived in a small house, right next to a very busy road. Thus, to keep Little Kitty safe I never let her outside. We moved to Liberty in November, 2002. My guess is, Panda was abandoned by previous owners. Or possibly dumped near the creek about 3 acres behind my house. During my stay in the house in Liberty, I had noticed people driving down to that creek dumping all kinds of items. During this time, I could not get close enough to pet Panda or even feed him up close. Instead, I placed cat food on a plate inside the barn. Soon, Panda and another cat, who I named Dusty, began staying in the barn, on a regular basis. I helped Dusty and 3 of her kittens find happy, loving homes. Panda, however, was always shy or even scared to get near anyone. Maybe he was beaten or just abandoned. Either way, he was living on his own, in the ever changing weather in middle Kentucky. The rain, heat, cold and even snow was a challenge for any animal, but even more so for a cat. Plus, all the dangers that were always present. Racing cars, other animals, illness, disease or just not being loved, was a way of life for Panda. I decided to make a bed for him, using a large empty cardboard box, and blankets inside. I placed his bed on top of a shelf inside the barn. Soon, I noticed he was inside his bed, usually at night, or early in the morning. He had such vibrant black and white colors, like a panda bear. So, I named him Panda. One morning, I placed a plate of cat food inside one of my large cat carriers. The idea was, to lure Panda into the carrier, then close the door quickly. Then, take Panda to my vet to get vaccinations, and a complete physical exam. Keep in mind, Panda had been living outside, for at least 3 years. Most likely, much longer. There was no way to tell how long Panda had been abandoned. My plan worked! Panda did walk inside the carrier to the cat food. As soon as he did, I shut that carrier door. Panda was not happy and tried every possible way to escape. But I was determined to get Panda to my vet as fast as I could. Soon after, we moved up to Augusta, KY which is about 90 minutes east of Cincinnati. After we had moved into the house in Augusta, I drove back to Liberty to get Panda. Panda showed his affection and love like no other cat or dog ever has. Panda would literally jump on my lap, get as close as he could to me, even sitting on my shoulder sometimes. If I laid on the rug, Panda would immediately climb on my back and take a nap! I gave Panda a chance to shine in life. Panda did just that. Panda became a vital and very important individual in my life. Panda was allowed to express his true personality. Panda was able to love someone, and receive love back. Panda came from the deepest, darkest, dangerous, most depressing situations. But I believe Panda and I were meant to meet. Panda somehow survived the 3 ½ years, before I was able to get Panda into that cat carrier. I knew I had one shot to make that work. I am glad it did! We lived in Augusta until November, 2008. Then, we all moved to Florida. The last time I saw Panda was about 7:30PM on February 5, 2013. Panda and I had been playing in my bedroom with some of Panda’s favorite toys. Usually after that, Panda would join Little Kitty and I in the computer room, while I was on the computer. Or, sometimes Panda would take a nap on my bed, Panda’s chair or some other location inside the house. Since the weather was warm, I left the door open in case Little Kitty or Panda wanted to go outside. One of the reasons I selected this house was, there is seldom any traffic in front of, or behind our house. We live in a rural area, on a dirt road, with homes spread throughout the area. Very little chance Little Kitty or Panda would be in danger. Usually, they would stay close to the house, or go on the lawn, but that was it. Sometimes, Little Kitty, Panda and I would take short walks, but only during the day and very close to the house, or in the back yard. Never far away. Panda vanished without a trace. I walked all over the area, near my house, even walked the areas 2-3 miles from my house several times. Panda would never stay out all night. He has never done this since I adopted him. Now, he is gone. It has been nearly 8 months since Panda disappeared. Panda was seemed so happy living with us. I still am not sure what happened to Panda. Thankfully I still have my other cat, “Little Kitty”. Little Kitty and I have been together for over 17 years. Thank you for reading this. Once again, Bob, thank you also for creating this site! Thank you for all your kind words. I would love to have my own show on network or cable television. Perhaps that will happen one day. 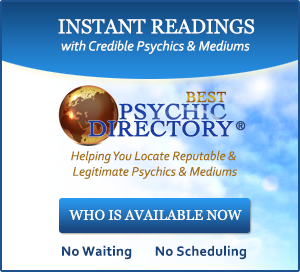 I do believe there’s enough people interested in the afterlife, and–yes–psychics and mediums too. I’m so very sorry to learn about Panda. I know the depth of emotion that comes with losing a pet, including a cat. I hope Panda is still alive and enjoying life somewhere, perhaps someone took him not realizing he already had a home. Nevertheless, Panda was lucky to have lived with you for all those years. And you never know, he might just show up at your door again. My best wishes to you, Panda and Little Kitty. for your understanding and help. Thank you Bob – I loved this segment on Pets on the other side. My dog loved tennis balls, she always had one in her mouth…she found them everywhere. On Christmas, the first w/o her – I went outside with my sister’s dogs and there was a Nice Clean tennis ball in the middle of the yard. I ran and picked it up. I asked my sister if she gave her dogs tennis balls for Christmas and she said no……. That summer, I saw a dog swimming across a brook. I stood and smiled and watched the dog thinking of my dog who always was a great swimmer. (always with a tennis ball in her mouth)…… all the sudden the dog I was watching this dog swim – it sudden stopped looked up, locked eyes with me. Then he ran up the hill past his owner….and across the bridge right at my – jumped on me and licked me in the face…. I admit, I got scared for a minute as I thought the dog was going to attack me…but she didn’t. The owner came over and apologized – the dog’s name was Mystic and he left a paw print on my chest…..I knew it was my dog saying hello. Love these stories about your dog. Thank you for sharing them. I’m sure it was your dog saying hello. And how cool that the dog who jumped on you was named Mystic. Thank you so much for conducting this interview! This has helped me in so many ways when it comes to dealing with the loss of a pet. I was curious to know if you are going to interview other Animal Communicators, or have more sessions with Danielle about this particular topic? You’re welcome. Yes, I’ll do another interview sometime with another animal communicator. Hopefully this year. Good question. Sometimes questions like this one go unasked because I feel they are answered in context with the rest of the interview, so it’s good to be reminded of the fundamental questions people want answered. The answer is yes, we do meet our beloved pets who go home to the spirit world before us. In many cases, they are there to greet us when it’s our turn to cross over to the spiritual dimension. I’m going to watch this again….I am having such a hard time even functioning after my service/companion dog Bee passed on last Monday. I had to have a vet come to the house to do it, so she could be next to me and just ‘go to sleep’. I’ve never had to do this before. Never had a dog before, let alone one with this bond……I miss her horribly, but most of all, I want to know the connection will always be there and that she is happy. I am deeply sorry for your loss. Everything that is true for people who transition to spirit is also true for Bee. So you can apply much of what you learn from any of my interviews–and my book–to your beloved friend/dog. Thank you Bob for answering one of my biggest questions: Will we be reunited with our beloved pets when we go on. Yes, we will be with our pets again. Our pets go to the afterlife just like we do. 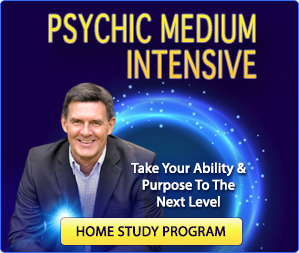 They show up in readings with mediums all the time. People who have near-death experiences have even seen them. Moreover, your deceased pets can even hear and see you now. So rest assured you’ll be with your pet again and talk to him/her as often as you wish and know you will be heard. So sorry to learn about your loss. Best wishes to you. THANKS JUST BOUGHT HER BOOK SAVING FOR HER CLASS! THANKS SO MUCH FOR THE IMFORMATION! Firstly this video with Danielle Mackinnon opened my eyes to how our loved companions never leave us. I lost my faithful companion a Yorkshire terrier last year 3 months before his 16th birthday,old and very tired towards the end i made the awful decision to end his life after he suffered a fracture,to put him through pain and stress during recovery wasn’t an option.Yet he continues to communicate through his name and the odd dream.I miss him terribly yet know we’ll be together one day. So sorry about the passing of your terrier. I’m glad this interview was helpful to you. Be gentle with yourself in your time of grief and thank you for writing. I need to make an appointment to see you i want to learn and listen what the animals are trying to say. The best way to do that is to take one of Danielle MacKinnon’s classes for this. You can learn more at her website: http://www.DanielleMackinnon.com. She’s also a great animal communicator.